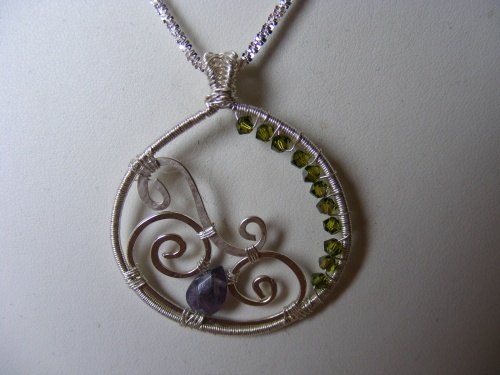 This beautiful pendant necklace is so springy with its purple teardrop crystal and small olivine crystals decorating the sphere. Designed in argentium silver and hand woven from scratch. One of a kind art jewelry.